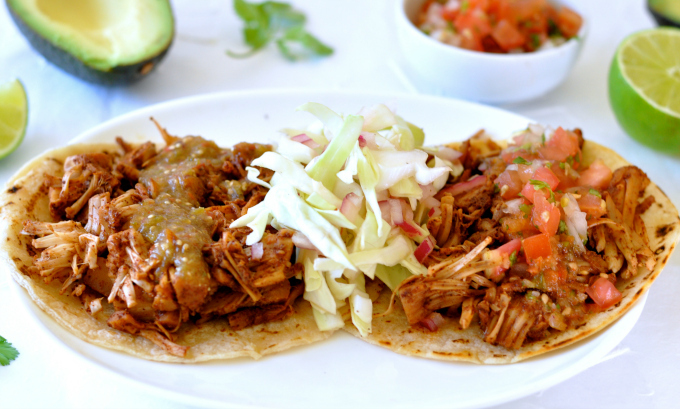 I think these jackfruit tacos will take you by surprise. If you have never had this delicious fruit before, it shreds beautifully and has a nice firm texture. It also does an excellent job of absorbing the flavor profile of anything you decide to marinate it in. 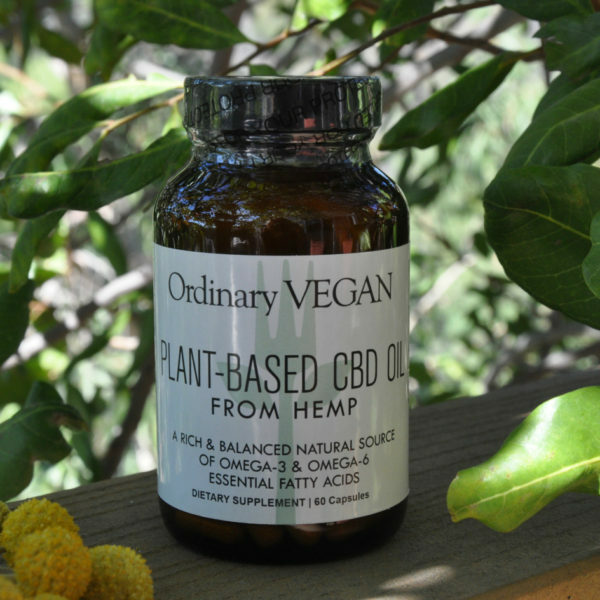 Not only that, it is one of the rare fruits that is rich in the B-complex group of vitamins. Jackfruit is also abundant in dietary fiber and contains significant amounts of vitamin-A, carotene-B, and vitamin-C. It also perfectly mimics the texture and taste of shredded meat. 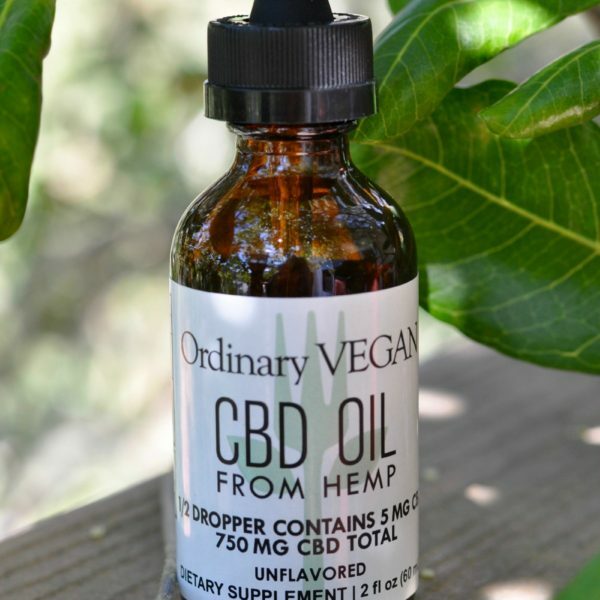 Yes – hard to believe but somehow it works. A perfect, healthy alternative for your next taco. If you are new to jackfruit, here is what it is. 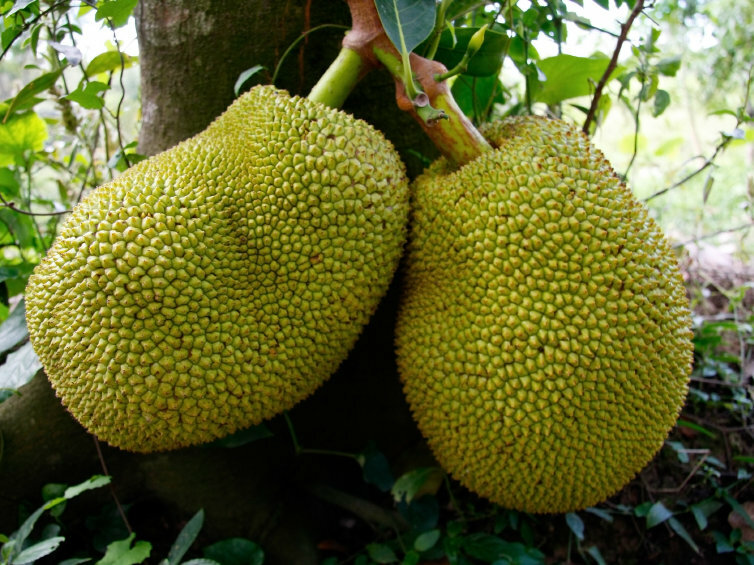 Jackfruit is the largest tree-born fruit in the world, and one fruit can weigh between 10 and 100 lbs. The fruit is native to South Asia, and it is rare to find fresh jackfruit in the United States. But you can find young green jackfruit in cans. 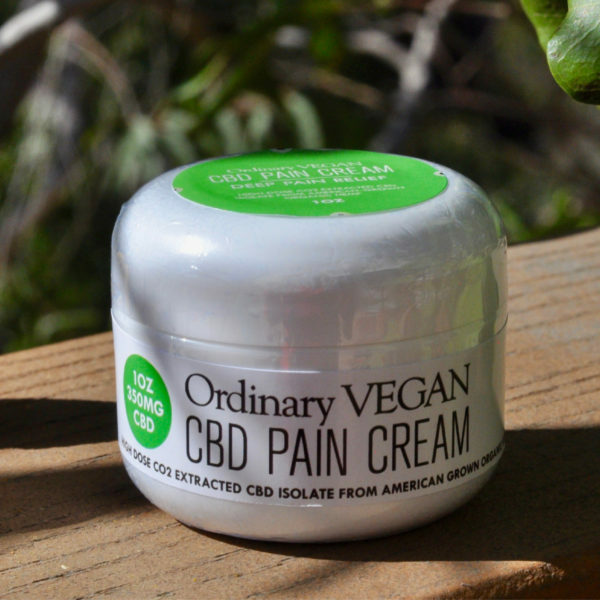 It used to be hard to find, but now it has become a healthy go-to ingredient for vegan and vegetarians. You can find baby jackfruit in mainstream grocery stores like Whole Foods. 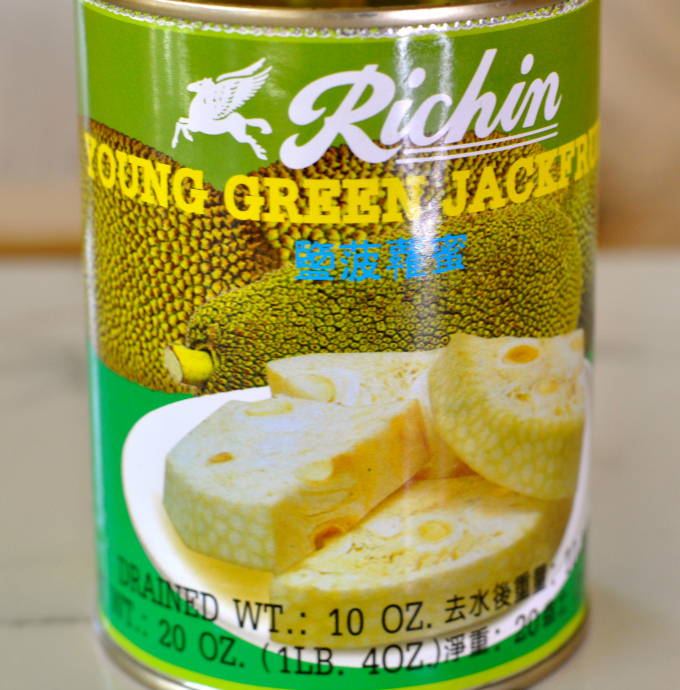 If you have trouble finding young green jackfruit at your local grocer, buy it online or go to an Asian market. It can be in brine or water. Make sure you rinse it before consuming and make sure it is young green jackfruit. Also, take two forks and give it a good shred before you marinate it. Making sure you break up the large pieces. Now just combine some ancho chili powder, cumin, light brown sugar and a very tiny touch of cinnamon. Sprinkle it over your shredded jackfruit and put it in the refrigerator for 1-8 hours or overnight. Then sauté it with some chopped onions and garlic. Of course, it's not a taco without a lot of great toppings! I enjoy a crunchy, refreshing alternative to mayonnaise-based coleslaw. So I made my tart and crisp apple cider vinegar coleslaw. I like to put it on top of the taco or serve it on the side. While all that was going on, I was roasting the main elements of my roasted tomato salsa including the garlic. I love using a roasted tomato salsa in place of traditional uncooked salsa. The roasting gives it a nice kick. Make extra to serve with tortilla chips. Hope you enjoy this jackfruit taco as much as I did. If you like this taco recipe, you might enjoy these tacos with marinated seitan. Thanks for joining us today and thanks for being part of our healthy community. 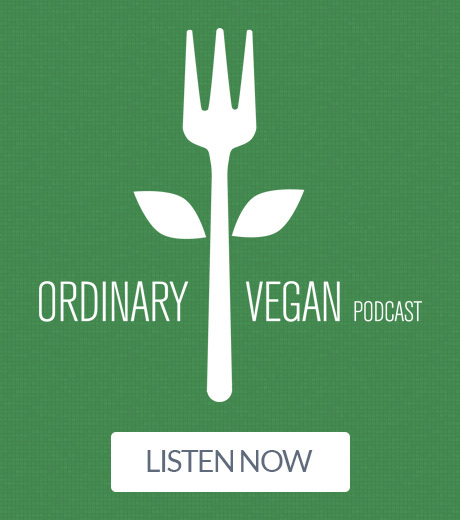 Don't miss any of Ordinary Vegan's free recipes by signing up here. 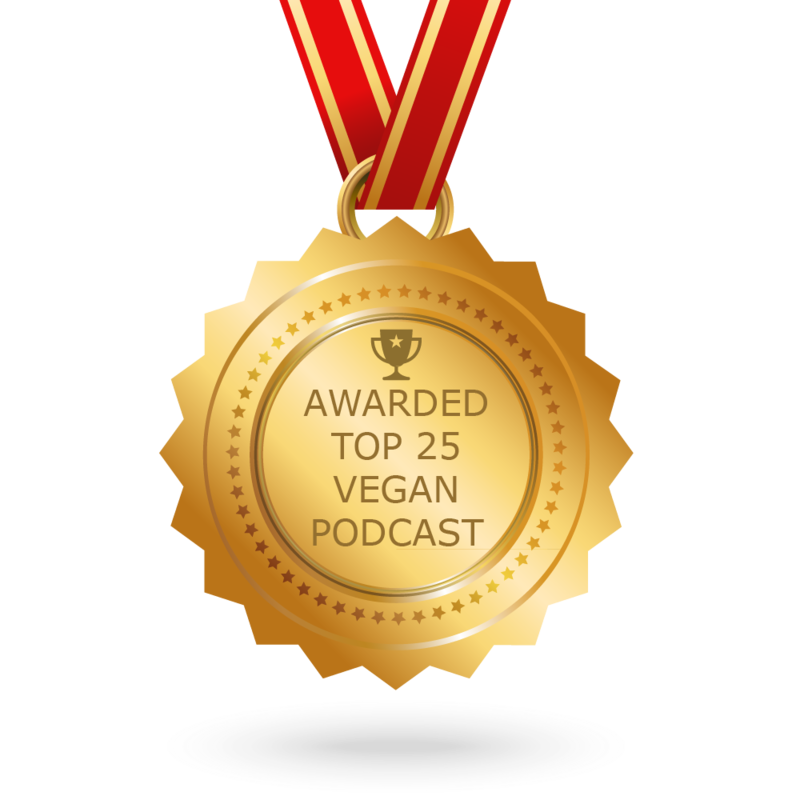 Also, check out my podcasts on nutrition, health, and wellness on my website or iTunes. I also share exclusive recipes. 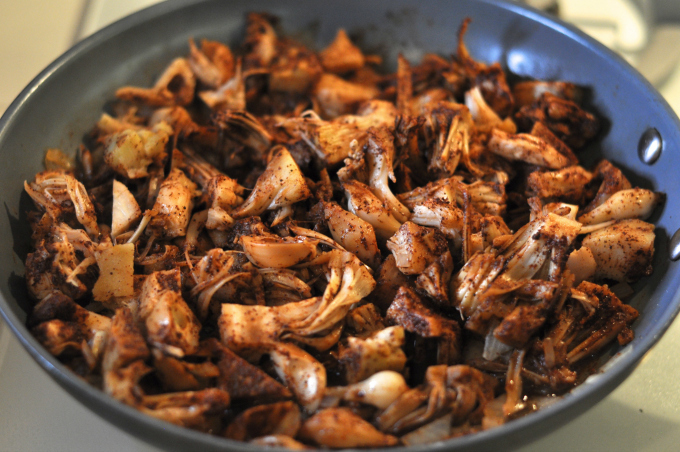 **Make Ahead*** Allow the jackfruit to sit in the rub for at least an hour in the refrigerator or much longer. Coleslaw should also be set aside to marinate. 2 20-ounce cans of baby jackfruit in brine, drained and rinsed well. Shred and chop the larger pieces of jackfruit. In a medium bowl stir together the chili powder, cumin, cinnamon, sugar, salt and ground black pepper. Add the shredded jackfruit and toss covering the jackfruit with the rub. Cover and put into the refrigerator for an hour or overnight. In a large bowl, combine the cabbage, onions, carrot, salt, pepper, maple syrup and vinegar and toss to mix. Cover and set aside in the refrigerator for an hour to marinate. Slice off the top of each head of garlic to expose a little of the cloves inside, Wrap the garlic in aluminum foil. 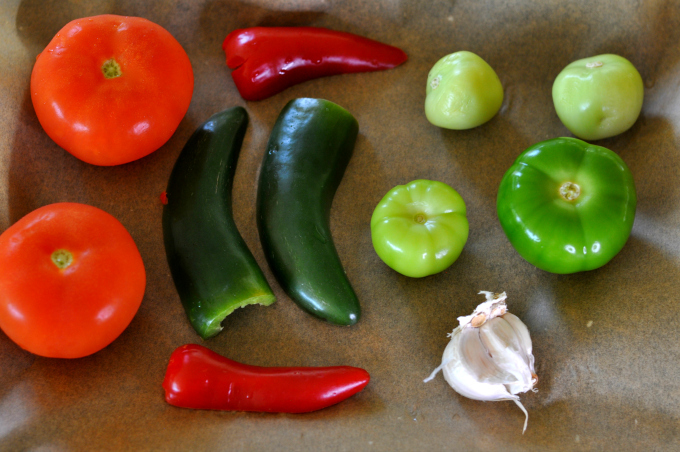 Place the tomatoes, serrano chilies and wrapped garlic cloves on a baking sheet. Bake for approximately 35 minutes or until the tomatoes are blistered. Transfer the cooled roasted tomatoes and chili to a food processor. Add the lime juice, maple syrup, salt and pepper. Squeeze the garlic cloves from skins and add to food processor. Process until smooth. Add the cilantro and pulse a couple of times. Taste for seasonings. In a large skillet over medium heat, add ⅓ cup of vegetable broth. Season with a little salt and ground black pepper. Add the chopped onions. Sauté for 2-3 minutes or until the onions are soft and translucent. Add the garlic and sauté for another minute or two. Adding more vegetable broth if sticking. Add the jackfruit and another ⅓ cup of vegetable broth. Stir to combine and sauté for another 5-8 minutes, stirring often. Squeeze the juice of one lime over the jackfruit and remove from heat. 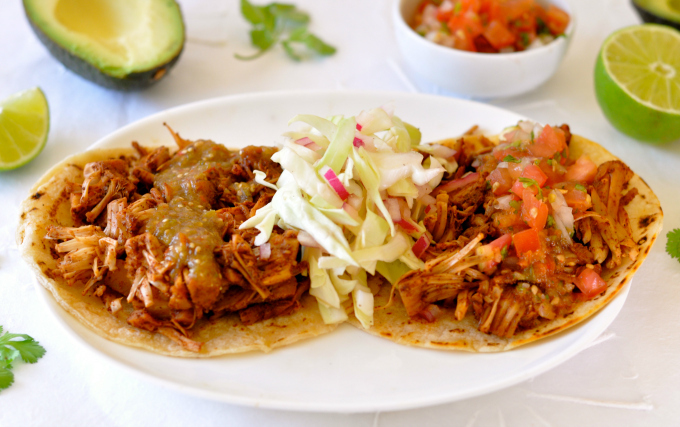 Assemble your tacos with some of the shredded jackfruit. Top with roasted tomato salsa, some avocado slices and coleslaw. Serve with lime wedges.